On August 25, Hurricane Harvey devastated communities in Eastern Texas. Fifty-three counties received a Presidential Disaster Declaration, forty-one of which were designated for the Federal Emergency Management Agency’s (FEMA) Individual Assistance (IA) and Individuals and Households Program (IHP). IHP provides approved registrants with rental assistance, home repair assistance (for homeowners), or assistance for other serious disaster-related needs, such as childcare, medical care, transportation, storage, or the repair or replacement of essential household items. On October 23, FEMA released preliminary summary data for Hurricane Harvey that include ZIP code-level information on the number and housing tenure of IA registrants, extent of damage to inspected housing units, and dollar amounts for approved assistance. These data offer one of the first opportunities to examine the extent of assistance needs and housing damage for both renters and homeowners following Hurricane Harvey. To date, 872,848 registrants have applied for assistance from the IHP program, 50% of whom are renters and 50% are owners. Given that 38% of households throughout the forty-one counties were renters prior to the hurricane, renters appear to have applied at a greater rate for assistance than owners. While it is too soon to draw definitive conclusions, early IA data suggest that renters may have a disproportionate need for FEMA assistance. FEMA continues to update its data as the agency accepts applications for assistance and completes its damage inspections. According to the Centers for Disease Control (CDC), low socioeconomic status households are at greater risk for being disproportionately impacted by disasters. FEMA’s preliminary data for housing assistance after Hurricane Harvey indicate that 47% of renter registrants live in ZIP codes with a poverty rate of at least 20%, as do nearly 33% of owner registrants. Households in low-poverty rate ZIP codes of less than 10% have been less likely to apply for assistance than those in higher-poverty ones. In addition, 63% of renter registrants live in majority-minority neighborhoods (Non-Hispanic White households < 50% of all households) as do 48% of owner registrants. Limited financial resources can detrimentally impact a household’s ability to plan for, cope with, and recover from disaster. FEMA’s current housing assistance data do not include incomes for individual registrants, but if they reflect the income composition of their ZIP codes, then 37% of renters and 16% of owners who applied for assistance had household income of less than $25,000. Given their lower incomes, renters were facing a higher housing cost burden prior to Hurricane Harvey. Again, if applicants reflect their neighborhoods, more than 49% of renter registrants compared to 22% of owner registrants were likely housing cost-burdened, paying more than 30% of their income on rent and utilities, prior to the disaster. These households, especially larger families with low incomes, are more likely to have had difficulty paying for other necessities even before the storm and are now facing even greater challenges in absorbing the economic shock of Hurricane Harvey. Source: FEMA Housing Assistance Data (10/23/2017; 2011-2015 American Community Survey). Income of registrants is computed using tenure by household income of applicants’ neighborhoods. To date, FEMA has completed property inspections for 58% of owner and 54% of renter registrants. Of these inspections, 74% of owners’ units were damaged compared to 20% of renters’ units. Texas’ housing advocates on the ground, however, believe that Harvey’s damage to rental housing is greater than the damage assessments indicate and question their accuracy. While homeowners have experienced a large share of the damage and need assistance, renters are more likely to be of low socioeconomic status, which underscores their vulnerability and the importance of ensuring an equitable long-term housing recovery. Evidence from recovery efforts after Hurricanes Katrina and Rita, however, suggests a bias for homeowners in the allocation of housing assistance for long-term recovery.Source: FEMA Housing Assistance Data (10/23/2017; 2011-2015 American Community Survey). Income of registrants is computed using tenure by household income of applicants’ neighborhoods. Source: FEMA Housing Assistance Data (10/23/2017). 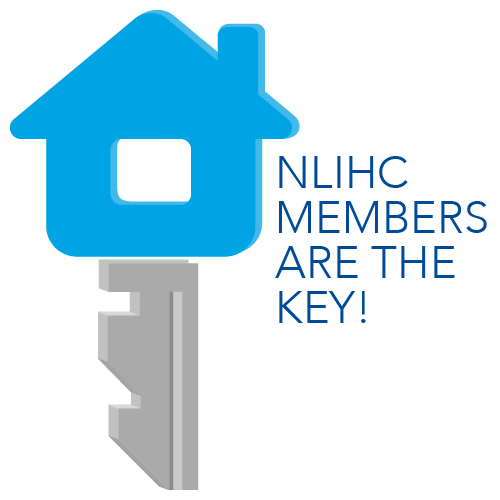 NLIHC and its partners are committed to ensuring past mistakes are not repeated. In Texas after Hurricanes Dolly and Ike, state housing advocates achieved an agreement with the state that gave direction to include extremely low income households and rental housing in long-term recovery efforts. Better guidance from Congress or HUD regarding the use of CDBG-DR would, for all states, ensure federal funds are allocated proportionately to need.